This city at the Central Region of Portugal will host the events world awards in November 2018. The second edition of the Bea World Festival on Portuguese soil - the first was in Porto - will travel to Coimbra. The dates have already been announced: 21st to 24th November. Those interested in competing for the awards can do so at: www.beaworldfestival.com/event-call-entries. This year there are new categories in competition, with a highlight for the best event location. There is also a new president of the jury: Gerd De Bruycker, marketing director for Cisco Systems. He will lead a team of marketing managers from several multinational companies and representatives of event agencies associations from all over the world. BEA World Advisory Board, held from 3rd to 6th March in the Azores. "I am honoured to have been chosen for the second time in three years as president of the jury of the Best Event Awards," said Gerd De Bruycker, adding, "I accepted this role following my passion for the event and communication industry, my passion to learn and be inspired by fantastic projects." The new president of the jury, who had already chaired the same panel in 2016, specialises in event marketing as part of the team responsible for Cisco's top events in the region, such as Cisco Live. Before joining the company seven years ago, he worked for nearly a decade at Microsoft in the event marketing area. Remember that since last year, Bea have become world awards in the field of events. The organisation is by the ADC Group, in partnership with APECATE, the Portuguese events association, and Turismo de Portugal. The medieval featured houses stand overlooking Mondego river, in a kind of stone cascade. Known for having received the first Portuguese university, and one of the oldest in Europe, dating from the thirteenth century, Coimbra maintains its reputation as a city of knowledge and academic vocation. Its University, Cathedral and the Santa Clara Monastery are mandatory stops. 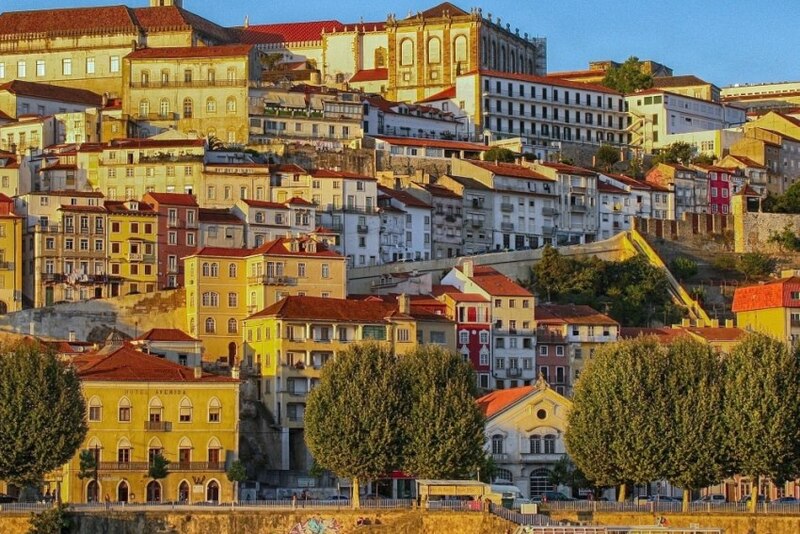 But Coimbra is also a city associated with love. It was in Quinta das Lágrimas that the tragic love of Pedro and Inês (monarchs of Portugal) was forever immortalised. A few kilometres from Coimbra, there are many options: the beaches of Figueira da Foz, Aldeias do Xisto (shale villages), Serra da Lousã or the Roman city of Conimbriga, the best-preserved testimony of the Roman passage through the country.